Thompson Smith and Puxon Director and Corporate and Commercial solicitor Nick Mayles discusses the important points from the latest Benchmarking Report [Source], for 2017-18, released by the National Association of Specialist Dental Accountants and Lawyers (NASDAL) towards the end of March this year. According to the Report, income for a typical mixed practice has fallen, whilst for a typical NHS and private practice it has risen, but so too have the costs and expenses in running the practice; in particular, the cost of Associates. 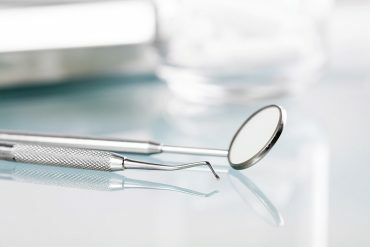 The result is that there has been a drop of 3% in net profits for a typical dental practice for the period 2017-2018. Typical NHS and mixed practices have experienced the biggest falls in net profits, of approximately 10%; compared with a 0.5% fall for private practices (which appear to have the lowest cost ratios). After a number of years’ of static profits, the Report highlights a rise in profitability for a typical Associate. But, as with the dental practices, the Associates’ profits have been pegged-back by increases in their own costs and expenses. The increase in profits for an Associate is, perhaps, driven by a growing shortage of suitably qualified individuals in the market, particularly outside the major conurbations. It remains to be seen what impact (if any) Brexit will have on the supply and availability of suitable Associates to dental practices around the UK. TSP’s Corporate and Commercial team is particularly experienced in the healthcare sector, advising on NHS contracts as well as pilot schemes, partnership arrangements and business disposals. Nick Mayles, who is recommended by the Legal 500, has specialist expertise in the sale, acquisition, merger and internal arrangements of dental practices. Colleague Claire Powell, also recommended by the Legal 500, specialises in advising GP practices and healthcare franchise work.